Dynamic 6L6 rock sound in a portable 1x12" combo. 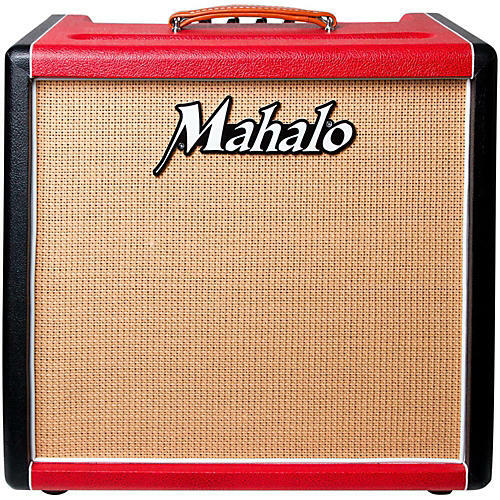 The Mahalo VMW 1x12" 38W combo is well suited for rock, blues, jazz, or classic rock. The VMW38 is a medium gain, non-master volume amp offering nice clean tones before running all the way up to classic rock gain. The VMW38 uses 6L6 power tubes and features 4 input jacks that you can bridge with your patch cable to tailor the gain while pumping out 38 watts. The 12AX7 tubes driving the preamp into the non-master volume power section make the VMW38 a very dynamic amp. The VMW38 delivers shimmering clean tones and will rock when you need it to. And like any Mahalo amp, the VMW38 cleans up by simply rolling off a little volume on your guitar.